This mount is custom made to fit the Woodman arms Patriot. 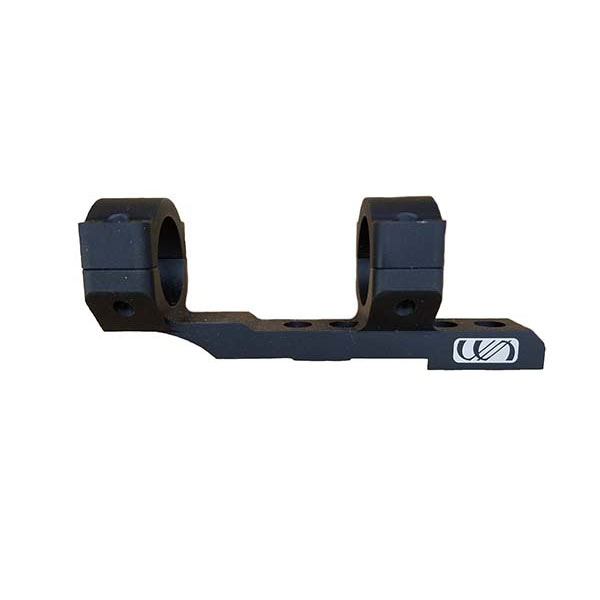 this is a one-piece mounting system to eliminate any chance of rings loosening from the mount. (screws supplied). 1″ Scope Rings. One piece solid base. 1" tube, fits .45 and .50 calibers. Tighten base screws to 36 in-lbs. Tighten scope caps to 15-17 in-lbs. Aluminum billet machined and anodized. Screws are included.